When Super Bowl LIII kicks off, an estimated 103.4 million people around the world will be tuning in to the big game between the respective AFC and NFC Champions. All eyes will be on Atlanta, Georgia, and the city’s state-of-the-art Mercedes-Benz Stadium to see who will be crowned Super Bowl Champion. But, behind the scenes of the football game, the operational and security requirements ahead of and during the big game are massive. For show organizers, the top priority is to keep the 71,000 fans inside the stadium safe and comfortable, creating the best possible experience for all attendees. Whether a stadium holds 71,000 fans – such as the Atlanta site of Super Bowl LIII – or merely 18,000 fans, the number one priority of security professionals is keeping the individuals on-site and on the perimeter safe. Integrating with conventional surveillance cameras, Video Content Analytics systems help security teams monitor the stadium and its surroundings more effectively and efficiently. Based on artificial intelligence technology, VCA systems uncover trends and reveal deeper insight about the stadium and the people passing through. This makes it easier for security to oversee the stadium, understand events as they unfold, zone in on any suspicious activity and respond faster to emergencies or safety threats. 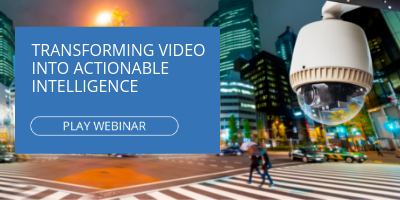 When a security incident takes place, law enforcement can quickly search, analyze, and pinpoint people in video based on witness-provided information, such as gender, colors, facial features and sizes. This is especially useful for locating missing persons and reuniting them with their parties or investigating theft at the venue. VCA provides more than just video surveillance – it permits actionable insight for driving productive and proactive response when it matters most. Beyond security, ensuring staff productivity is key to providing the optimal experience at a mass event. Event staff helps keep traffic moving throughout a crowded stadium, preventing bottlenecks, guiding throughput and making sure that visitors are finding what they’re looking for without getting frustrated. By offering perspective on pedestrian traffic patterns throughout the stadium, video analytics helps event organizers understand where congestion is likely to occur and devise ways to prevent it before and during the event. Mobilizing staff and security personnel is key to enabling a comfortable and enjoyable experience. Properly hiring and positioning staff members throughout various parts of the arena or stadium to assist people, help with entry into the venue and also be on the lookout for suspicious activity, event organizers can leverage Video Content Analytics to optimize staff performance and provide attendees with the best service. Aside from everything going on inside the venue, event organizers must plan for visitors’ getting to – and parking near – the venue itself. We frequently hear about the headache that event traffic can cause, but VCA systems can help stadiums coordinate with local law enforcement to help ensure a smoother journey to the event. That’s because these systems can be utilized to analyze and then optimize both pedestrian and vehicle traffic in the area of a mass event. Comprehension of pedestrian and vehicular navigation and parking patterns enables city officials to adjust traffic light timing to better streamline traffic flow and public transportation around the stadium and plan ahead to keep everyone safe and moving. Additionally, VCA systems are able to monitor parking patterns so event staff can better communicate which lots are full, which lots are nearing capacity and which lots still have adequate availability to attendees. Inside the stadium, aside from offering entertainment, arena staff have another major goal when it comes to mass events: merchandise and concessions sales. With this in mind, it behooves event staff to position concessions stands and merchandise pop-ups in locations that will attract visitors. Retail and food vendors need to be positioned for optimal accessibility and convenience, and video analytics can be used to determine which locations are optimal based on traffic patterns, historical sales data and more. VCA systems enable vendors to maximize sales by leveraging data and can also allow help venue managers set rental pricing for vendors based on qualitative, demonstrative intelligence. Stadiums and mass events stand to score big by leveraging intelligence and relying on data-driven decision making. AI-backed technologies, such as video analytics, are revolutionizing the future of football, concerts and other mass events. Everyone – from the event organizers to the visitors to the players on the field – wins big when event operations, productivity and safety are streamlined and optimized.